The oldest surviving public school building in Winnipeg, Isbister School was built during the fall and winter of l898–99 to plans by Samuel Hooper, Provincial Architect of Manitoba from l904 to l9ll. 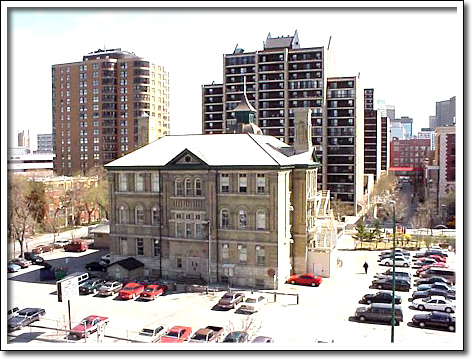 Named for Alexander Kennedy Isbister (l822–l883), the eminent scholar and educator of Scottish and Cree parentage, it was used as a model for a number of Winnipeg Schools built after the turn of the century. With its picturesque roof line, varied surfaces, round and square-headed windows, columns, pilasters and tower loggia, it incorporates elements from various styles including Romanesque and Queen Anne Revival. In short, it is a fine example of the late Victorian fashion for architectural eclecticism.